CHARLESTON, SC—(March 11, 2019) 1,239 homes sold in February in the Charleston region at a median price of $265,000 according to preliminary data released today by the Charleston Trident Association of Realtors® (CTAR). Last February, 1,133 homes sold at a median price of $257,580. Year-to-date, sales volume is about 3% behind where it was in 2018, while median price is up 3%. So far this year, 2,191 homes have sold at a median price of $265,850. Last year, 2,254 homes had sold at a median price of $258,000. Inventory data shows 3.4% fewer homes for sale over the last 12-month period, with 5,416 homes listed as “active” for sale in the Charleston Trident Multiple Listing Service (CTMLS) at the end of February. “The pent up demand from the uncertainty surrounding January’s government shutdown came to fruition in February with rebounds on both the sales and pricing sides of the market” said 2019 CTAR President Edward Oswald. “Sales volume came back and demonstrates how suppressed the demand was in January” said Oswald. “A median price increase of 3% is healthy, sustainable and while we continue to focus on affordability challenges in our market, 3% is a reasonable level of growth” he concluded. Preliminary data showed 942 homes sold in January in the Charleston region at a median price of $265,000. Updated data now shows 952 sales at a median price of $265,925. 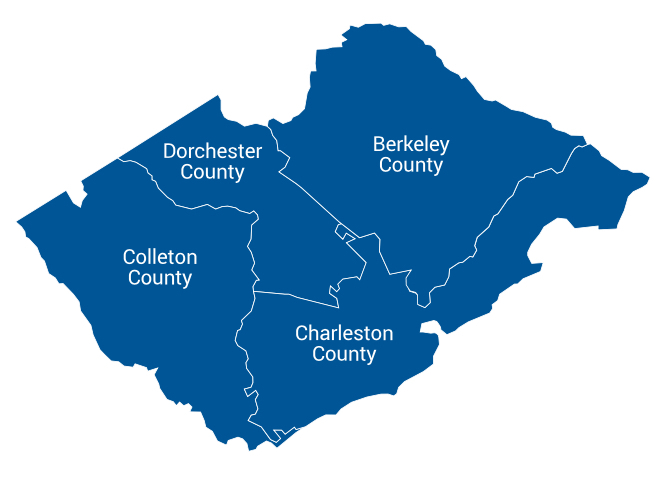 334 homes sold at a median price of $210,225 in Berkeley County in February, 296 single-family homes and 38 Condos/townhomes. Year-to-date, single-family home sales have declined about 1% in the County, as the median home price has increased by nearly 10%, to $255,000. Condo and townhome sales are down 7% as median price rose 7% to $165,765 so far this year. There are currently 1,073 residential properties for sale in Berkeley County; 945 single-family homes and 128 condos/townhomes. 608 homes sold at a median price of $291,788 in Charleston County in February, 450 single-family homes and 158 Condos/townhomes. Single-family home sales have slowed by about 10% this year, as median home price has declined about 1% to $368,000. Condo and townhome sales increased by 17% as median price declined 2% to $225,580. There are currently 3,097 residential properties for sale in Charleston County—2,301 single-family homes and 796 condos/townhomes. 15 homes sold at a median price of $199,000 in Colleton County in February, all single-family homes. Single-family home sales are down 32% when compared to 2018, as median home price has increased by 16% to $156,000. Condo and townhome sales showed no variance from last year. 222 homes sold at a median price of $206,975 in Dorchester County in February, 198 single-family homes and 24 Condos/townhomes. Single-family home sales declined by 5% in the County, as median home price increased nearly 10% so far this year, to $249,796. Condo and townhome sales saw a decline of 7% as median price increased 9% to $167,000. There are currently 625 residential properties for sale in Dorchester County—557 single-family homes and 68 condos/townhomes. Want Market Data For Your Neighborhood?